Build the largest and most useful software library in the world. We also provides this Open Laboratory. The Hyper Juke, an Audio-CD database with media player. The Tiny Database Desktop, an utility program to create Borland Paradox formatted table. The CHARAC, a toy program which convert bitmap image into characterized picture.Programs for the Delphi programmers, and some macro programs. This is for the purpose of talking about electoronic dictionaries and distributing related tools. Virtually all Japanese perl coders must have used jcode.pl, a perl code that converts Japanese text from one char set or another. While jcode.pl has all the functionalities necessary, it has some problems. So I have written Jcode.pm. SKK is one of Japanese input method which was created in 1987 by Masahiko Sato, a professor of Kyoto University. We will expand this SKK further in this openlab. This laboratory is for developing and distributing software systems for T-code, a direct input-method in Japanese. 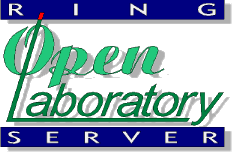 The Open Laboratory for exchanging information about electronic fonts. We also develop electronic fonts and related programs. DNS balance is a load-balancing DNS server. DNS Balance will guides you to appropriate server in each client. DNS Balance OpenLab will improve DNS Balance itself and will make another server rating system. GNUjdoc is a central archive of Japanese translations of GNU documents. It also provides a framework to install documents with ease. This project aims to establish a community among the developers related to translation of technical documents, such as foreign software's manual and so on. up1date is a simple downloader for Red Hat Linux's updated packages. Use it to download security and bugfix packages from RingServer. It is written in shell script and can be easily modified. Puppy Linux is a superb, light-weight, fast and versatile Linux distribution with a great selection of applications, graphical system administration utilities and all sorts of unique features not readily available elsewhere. Domain name assistance is supported by ASAHI Net, Inc.
We, the Ring Server Project, highly appreciate them.